Published Dec 29, 2011 by Pearson IT Certification. Part of the LiveLessons series. This video teaches students everything the exam expects them to know about these critically important computer networking models. This video presents the addresses and formats used in both the IPv4 and IPv6 networking protocols. This video teaches students the concepts of TCP/IP subnetting. It also teaches students how to perform these calculations using nothing but pencil and paper. Verification of work is also taught using online subnet calculator tools. This video demonstrates the physical and programmatic tasks that are required to setup and install a typical network router or switch. This video covers the methods used to route Internet or intranet traffic. It also demonstrated the configuration and operation of the most popular routing protocols used today. This video provides in depth coverage of the important networking protocols used today, such as HTTP, DNS, FTP, DHCP, SMTP, etc. This video guides students through the “art” of troubleshooting. Various overall approaches and methodologies are presented. This video describes and demonstrates the use of the many different network media types that can be used today. Various networking topologies are demonstrated in this video – including both logical and physical topologies. This video covers overall techniques that can be used for network management today. Tools like management systems and network analyzers are discussed and demonstrated. The Simple Network Management protocol is the subject of this video. It follows the video before it logically. This video includes in depth demonstrations at various network devices. QoS is one of the most important topics in modern networking. This video details this set of technologies for students, and provides extensive demonstrations at the command line. This video describes the most common forms of network attacks and the most appropriate methods of combatting these attacks. This video describes the various methods for securing a wireless infrastructure. It includes demonstrations on a variety of wireless devices. This video details all important aspects of these critical security devices. Demonstrations then show how these network devices prevent attacks. Once again, this video describes VPN technologies, and then demonstrates them using a variety of different network devices.Once again, this video describes VPN technologies, and then demonstrates them using a variety of different network devices. CompTIA Network+ N10-005 LiveLessons teaches you how to accomplish various fundamental network planning, implementation, and verification exercises related to the Network+ exam. Expert instructor and CCIE Anthony Sequeira provides you with more than four hours of personal, video instruction that teaches you know the layers of the OSI model, the features and functions of network components, and the skills needed to install, configure, and troubleshoot basic networking hardware peripherals and protocols. The product contains a series of short instructional videos that demonstrate how to accomplish various network planning, implementation, and verification exercises. 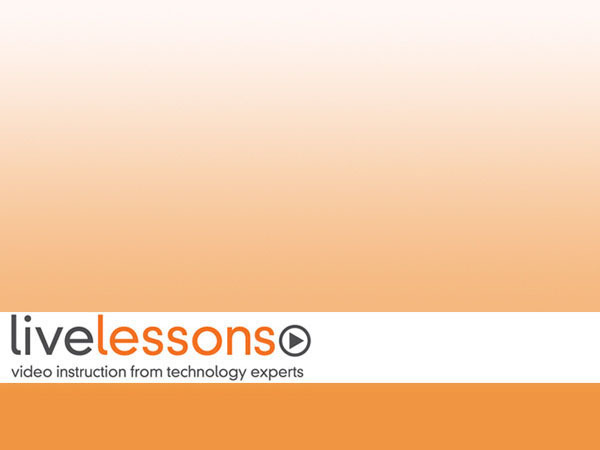 The 18 individual video lessons consist of instructor training, animations, and network equipment screencasts. Limited Time Offer: Buy CompTIA Network+ N10-005 LiveLessons and receive a 10% off discount code for the CompTIA Network+ N10-005 exam. To receive your 10% off discount code login to your pearsonITcertification.com Account page, locate the product and click on “Access Bonus Content”. The primary audience for this title is CompTIA Network+ certification candidates and anyone new to networking that wants to learn networking fundamentals. The course assumes no previous knowledge of networking.